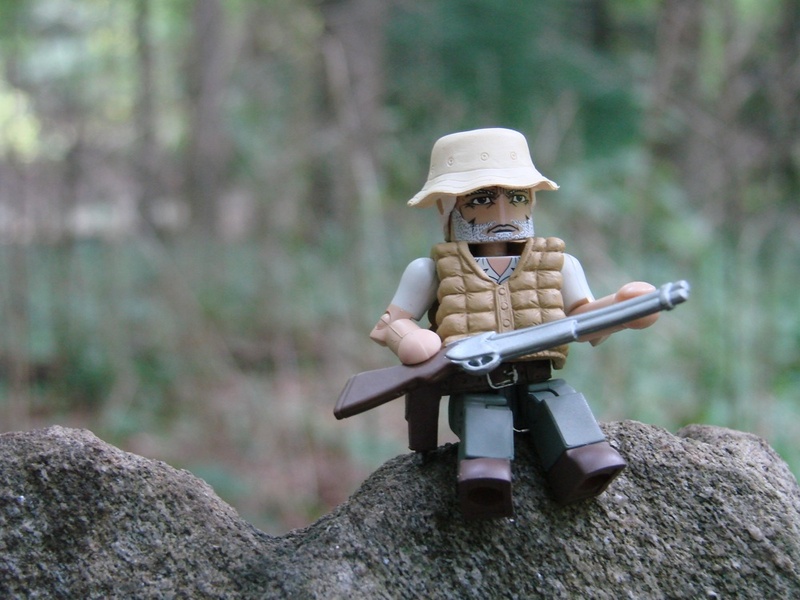 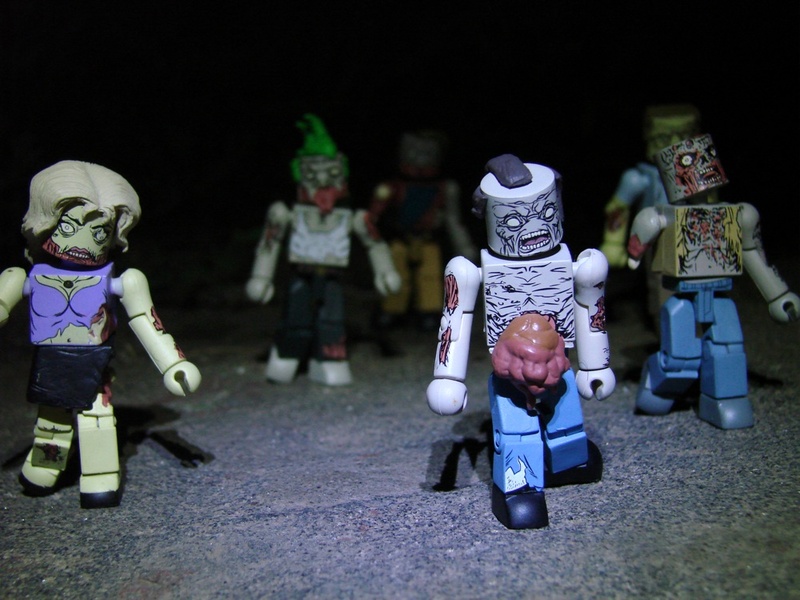 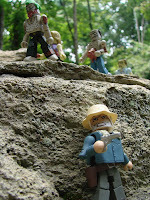 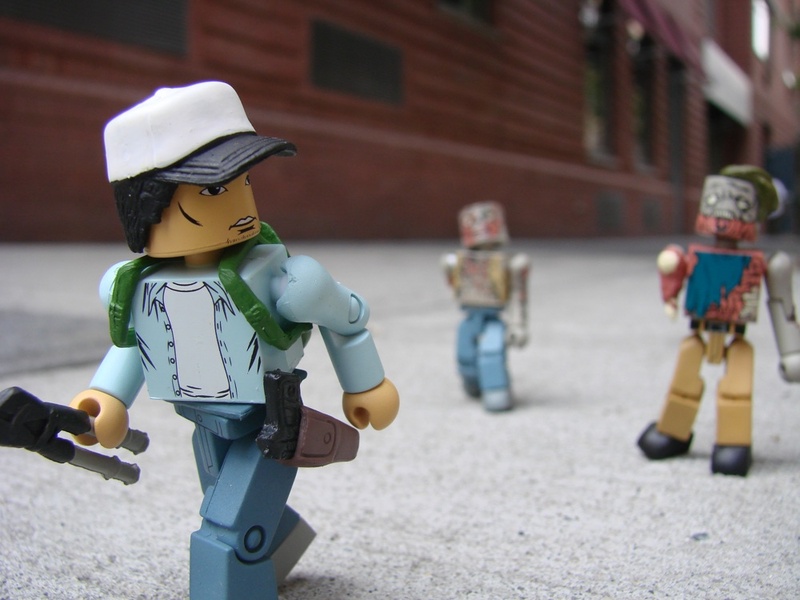 The first series of Minimates based on hit TV and comic (and videogame) series The Walking Dead is slowly shambling its way into specialty and comic shops everywhere. Just to whet your whistle for all the undead action, collectable maker Diamond Select Toys has taken the nasty little guys out into the real world to wreak some havoc... with awesome results. 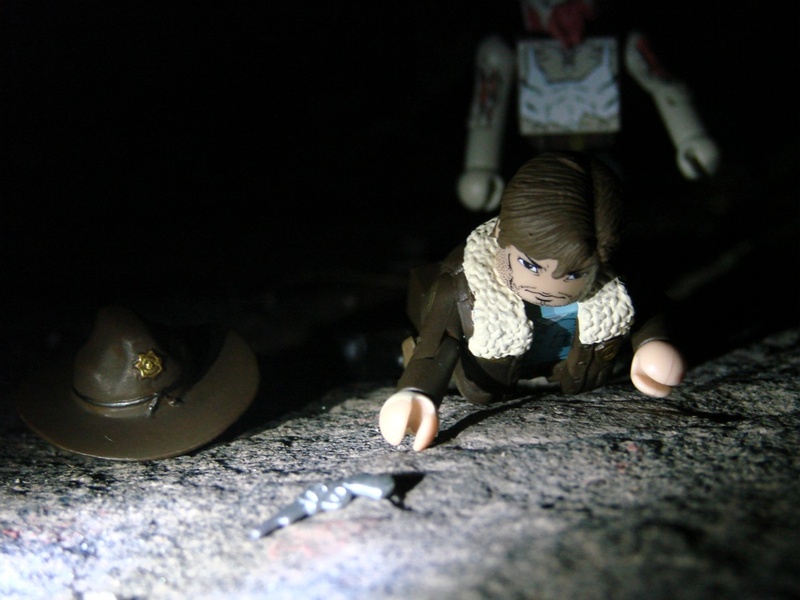 Diamond has done this a bunch of times (most recently with their Marvel vs Capcom Minimates) in the past and it never gets old. 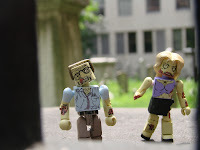 There's something about seeing The Walking Dead's characters and zombies tromping around out in the world that's particularly cool though. Oh, and that one little deadite with his bits falling out? 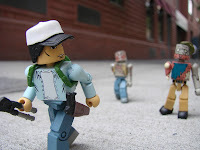 I hadn't seen that one before- that's just awesome. 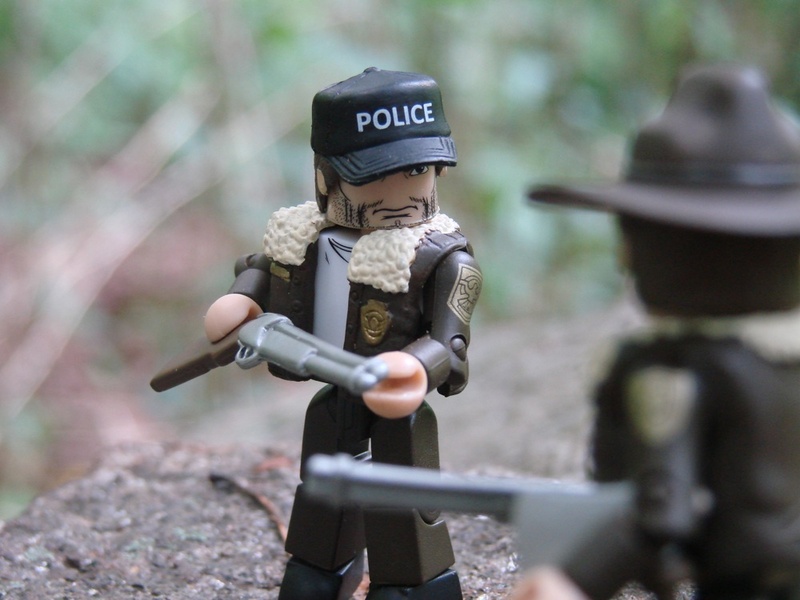 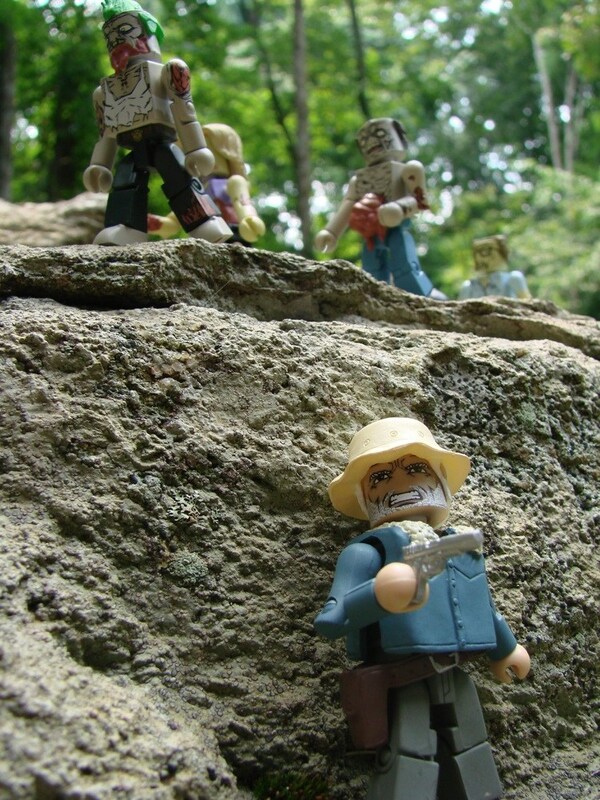 They've been a long time coming, but you can expect to start seeing The Walking Dead Minimates munching on retail shelves in a comic book shop or Toys R Us near you in September. There will also be a couple of exclusives to keep on the look out for- there's a double Dale pack that includes both the regular version of the character and a 'winter coat' variant, that pack is exclusive to comic and specialty shops only. 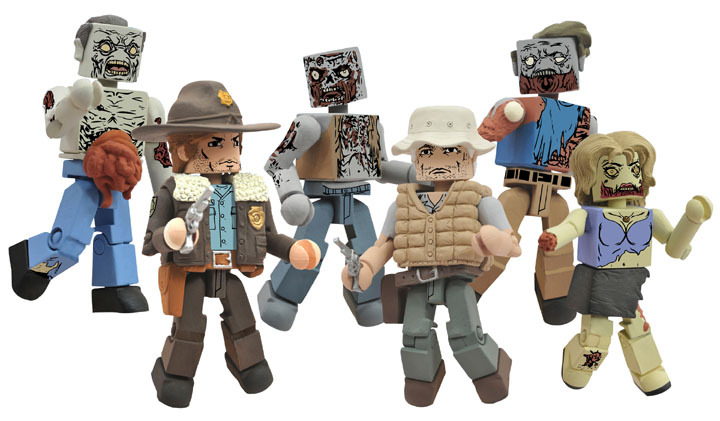 Then there's also a pack with series favorites Glenn and Shane bundled together that will be only found at TRU's. Happy hunting... and watch your back out there!